Witch figurine mounted on her broom. 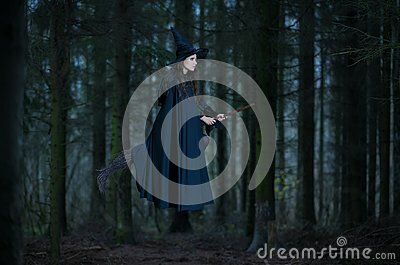 A cute witch flying with her magic broom. With full moon night scene. Halloween.Little girl in costume witch flying on a broom across the sky.